Back in June 2007, Logan James Lewis was a cute, vibrant little 5 year old boy. Excited about everything in life and lived every day to its fullest! After several weeks of Logan limping and complaining of his right leg hurting, his parents took him in for several doctor’s appointments. They believed that it was just a knee or muscle injury, however Logan was diagnosed by the Seattle Children’s Hospital with a very rare form of children’s cancer, named Neuroblastoma. He was given a 30% of living and defeating the terrible disease. He instantly was at stage 4 and needed to have surgery to remove a large tumor and begin his painful treatment. After going through stem-cell transplant, radiation, and chemotherapy, Logan fought hard to beat his cancer. He had unbelievable love and support from family, friends and the community. 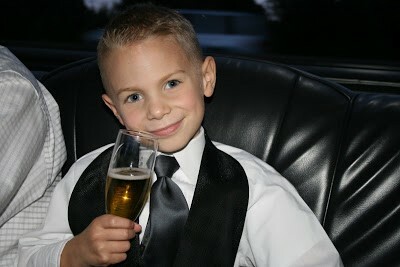 Logan pulled off what is considered by many a miracle……..he BEAT Neuroblastoma cancer! He was in remission and considered cancer free for the past 6 years! The poster child for beating this rare cancer! About 3 weeks ago Logan started limping. He said his groin/hip hurt. His parents thought he had hurt it running or playing on a friend’s trampoline. As a precaution his mother, Kelly, took him to his local pediatrician and they did some blood work and agreed that he most likely had a groin pull and gave him some exercises to work on. As an extra step, Logan’s parent’s notified his survivor nurse at Seattle Children’s Hospital. She ordered more blood work and also recommended an x-ray of his hip/knee. The MRI detected a mass on his left hip and the doctors wanted to schedule surgery to do a biopsy as well as more testing to see if he had possibly relapsed with Neuroblastoma. Logan spent the week of July 20-23 at Seattle Children’s Hospital for MIBG test (this test will show if Neuroblastoma is present). Thursday (July 23) he underwent surgery to do a biopsy on the mass/tumor in his left hip area. In the end, the devastating disease has returned to Logan’s body. He is at stage 4 and has signs of cancer throughout his body. 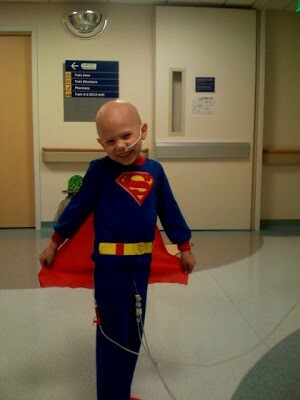 The treatment that Logan went through in his first fight against cancer, cannot be utilized again. His body is immune to that treatment. So he will begin experimental treatment within the next week or two. This is another chapter in Logan’s fight. He is an amazingly strong teenager and we have no doubt that he will once again prevail and come out even stronger in the end of all this! As you can imagine, life instantly changes once again and challenges present themselves. Due to Logan’s new situation, his mother (Kelly) has to take FMLA leave from her job and will not receive a salary or any kind of paycheck. His father (Jason), just changed jobs and does not qualify for any leave to support the family. So they will now be living paycheck to paycheck on Jason’s one income for a family of four. Logan will most likely begin outpatient treatment at Seattle Children’s Hospital, which will require long car trips to and from the hospital. We can all imagine the bills beginning to pile up, i.e. gas bill, home utilities, groceries, mortgage, etc. In addition to this, as I mentioned above, Logan will be doing treatment through experimental options. Unfortunately, the insurance typically does not cover experimental treatment. Therefore, this could lead to high medical bills and unpredictable expenses. Without Kelly’s paycheck, they may struggle to try and make everything work. Please help relieve their financial stress so that they can focus 100% of their energy on Logan and the family! Thank you all so much for your continued thoughts and prayers. Just wanted you to know we are thinking about you…you were one of our best new pilots ever!! Hang in there and come see us soon…would like to see if you can fly the C17 and do the refueling mission again..